Our Focus is on the restoration of significant dental disease under general anesthesia. Bonding is a conservative way to repair slightly-chipped, discolored or crooked teeth. During dental bonding, we place a white filling on your tooth to improve its appearance. The filling "bonds" with your teeth, and because it comes in a variety of tooth-colored shades, it closely matches the appearance of your natural teeth. With this advanced technology we can zoom in on small diseased areas, cracks, chips and worn metal fillings with extreme precision. The full-color images taken with the intraoral camera are sent to a computer screen so we can clearly see and diagnose dental problems much earlier than with traditional dental technology. Because images are displayed on our screens, parents will also be able to see areas being worked on and are able to gain a better understanding of dental procedures being performed. Every child will have a preliminary health screening. If the child has or has had a medical condition then medical clearance will have to be obtained before scheduling the appointment for the dental treatment. When your child is ready to be scheduled, you will receive detailed preop instructions. These instructions include how and when to take medications (if your child takes medications), what to do the evening before and the morning of, and all other additional instructions that include fasting and having the child in the direct supervision of the parents (which includes no school). General anesthesia is essentially loss of consciousness and loss of bodily sensation. You and your child will have an interview with the anesthetists, where all of your questions and concerns will be addressed. Your child will be placed under general anesthesia with a breathing mask. When your child is unconscious the anesthetists will place an IV. Through the IV your child will receive medications to keep the child asleep while he receives his dental treatment. During this time the anesthetists will be at the child’s side monitoring his vital signs and well being. After your child's dental procedure, your child will be taken to the Post Anesthesia Care Unit (PACU) by his/her anesthetists to be cared for by one of our experienced nurses. In the PACU your child will have their vital signs monitored by the nurse, which include: respiratory rate, heart rate, blood pressure, temperature, and oxygen levels. As your child is waking up you will be called to be with your child. Then the nurse will give you detailed post op instructions and answer any questions as well. In step down, you will have access to the nurse as your child continues to recover. Here you will have available to you a comfortable couch with cable television until you are ready to go home. Your child will be followed up and you will be given a 1-800 number to call at anytime after the treatment. 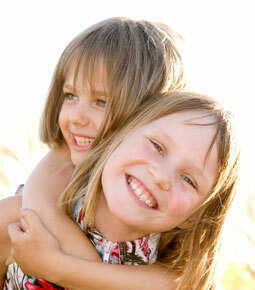 A coordinated and caring delivery of your child's total dental treatment required to ensure a healthy mouth. Fluoride inhibits loss of minerals from tooth enamel and encourages remineralization (strengthening areas that are weakened an beginning to develop cavities). Fluoride also affects bacteria that cause cavities, discouraging acid attacks that break down the tooth. Risk for decay is reduced even more when fluoride is combined with a healthy diet and good oral hygiene. The pediatric dentist considers many factors before recommending a fluoride supplement. Your child's age, risk of developing dental decay and dietary sources of fluoride are important considerations. Infant formulas contain different amounts of fluoride. Bottled, filtered and well waters also vary in the amount of fluoride they contain. Your pediatric dentist can help determine if your child is receiving and not exceeding the recommended amount. Using fluoride for the prevention and control of decay is proven to be both safe and effective. Nevertheless, products containing fluoride should be stored out of the reach of young children. Too much fluoride could cause fluorosis of developing permanent teeth. Fluorosis usually is mild, with tiny white specks or streaks that often are unnoticeable. In severe cases of fluorosis, the enamel may be pitted with brown discoloration. Development of fluorosis depends on the amount, duration and timing of excessive fluoride intake. Stainless steel crowns are crowns that cover the whole tooth. Crowns are completed in one visit. They also provide the added benefit of being a very durable and reliable restoration. They are needed when decay has destroyed a tooth to such a degree that there is little of the tooth remaining or the tooth has received a pulpotomy (nerve removed) because of deep decay. NuSmile Crowns are stainless steel crowns with a bonded tooth colored cosmetic facing. Crowns are completed in one visit. They also provide the added benefit of being a very durable and reliable restoration. They are needed when decay has destroyed a tooth to such a degree that there is little of the tooth remaining or the tooth has received a pulpotomy (nerve removed) because of deep decay. They will last until the tooth falls out around the age of 5-7. The crowned tooth will usually fall out normally when the permanent tooth comes in. To take care of them, avoid eating sticky foods like caramel, gum and taffy. Also avoid chewing on hard candy, ice, and popcorn kernels. If crown comes off, please return to the office for tooth to be evaluated. Safeguard as possible against any trauma or hard blows to the teeth. Home care for this procedure is important. Where the crown meets the gum tissue is an area where bacteria can live and cause decay. It is important that parents supervise the cleaning of the area. Make sure your child brushes not only his teeth but where their teeth meet the gum tissue. It is also important to floss once a day. Pull floss through and out, and up and down to minimize risk of crown coming off. When the nerve of a primary tooth is penetrated by bacteria or exposed due to a fracture, pulp therapy (a pulpotomy or pulpectomy) is necessary to save the tooth. It is sometimes called a baby tooth root canal. A small metal appliance that holds the open space left by a lost tooth. The appliance may cover the tooth (like a crown) or be a simple "band" around the tooth.